Ascot Apartments offer a unique hotel apartment concept for both shorter and longer stays. Ascot Apartments are situated in the heart of Copenhagen, 1 minute from the City Hall Square and 2 minutes from the Central Station. Compared to the traditional hotel room, Ascot Apartments provide many advantages. The apartments are very large, from 538 sq. ft. to 914 sq. ft. with own kitchen and offer a considerably more private atmosphere. 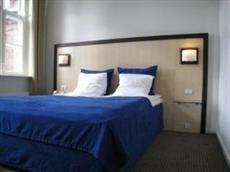 All the hotel apartments are decorated with modern furniture, comfortable beds and good bathrooms.